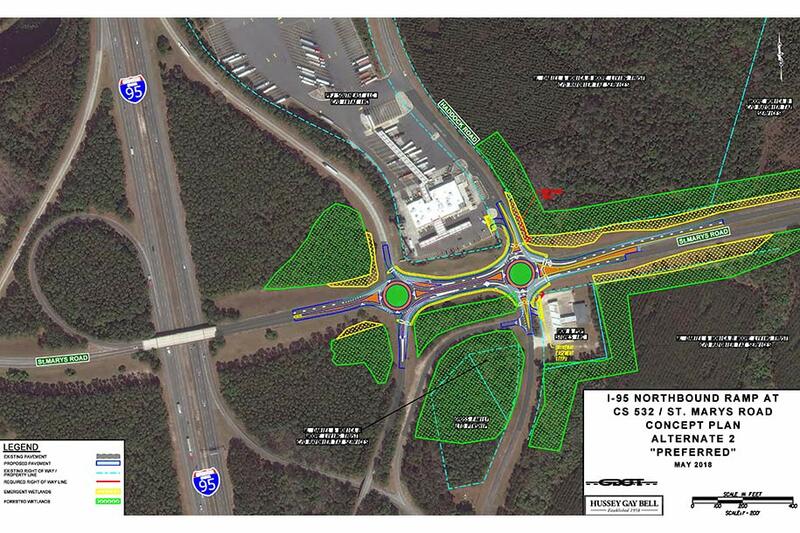 This project includes the design and construction of intersection to improve the Northbound ramp termini at the I-95 Northbound Ramp @ CS 532 / St. Mary’s Road intersection in Camden County. Hussey Gay Bell is providing concept report preliminary construction plans, signing and marking plans, final right-of-way plans, erosion control plans, staging plans and final construction plans, as well as conducting engineering studies. 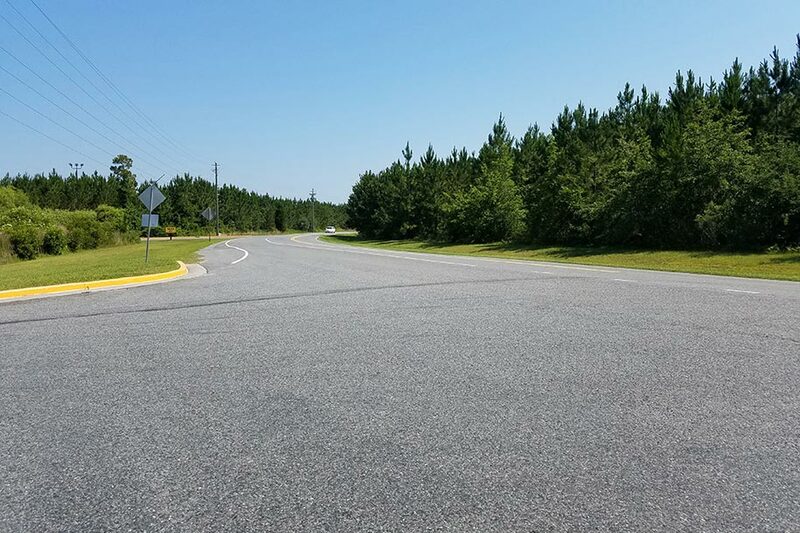 For years the intersection just north of the I-95 Northbound Ramp @ CS 532 / St. Mary’s Road intersection in Camden County had experienced heavy traffic and numerous incidents resulting in the need for an operational safety improvement to lessen incidents and improve safety.